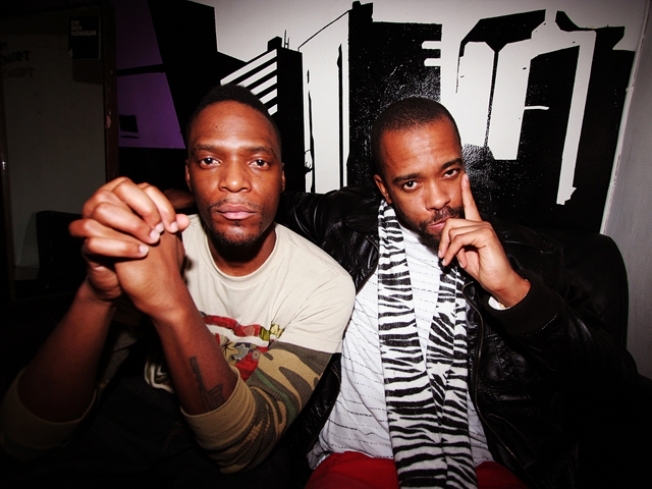 Dead Prez will play a free show this weekend powered completely by solar energy. Dead Prez is on a mission to convince the African-American community and hip hop heads everywhere that going green is going to make them money and help them live longer lives. "(Going green) should hit you from a emotional standpoint," M1 of the famed hip hop duo told Check the Weather. "But also from an economic aspect. African people have to get on and see it as a way of economic development. Also how it relates to our general health that's why we die so soon. We have to really make it relevant because we are the ones being hurt the most." And leave it to the controversial rappers to use grinding to make drive their message home. This Sunday, Dead Prez will headline Grind for the Green, the second annual Solar Powered Hip Hop concert, at the Yerba Buena Gardens from 12 p.m. to 4 p.m. And in the backdrop of the incredibly expensive Outside Lands Festival in Golden Gate Park, Grind for the Green won't cost you a dime to attend. "We need to use this as a way to open up avenues and make it work for working class people," M1 said. Mistah F.A.B. will join Dead Prez as they use hip hop to promote environmental justice to kids and the hip hop generation.